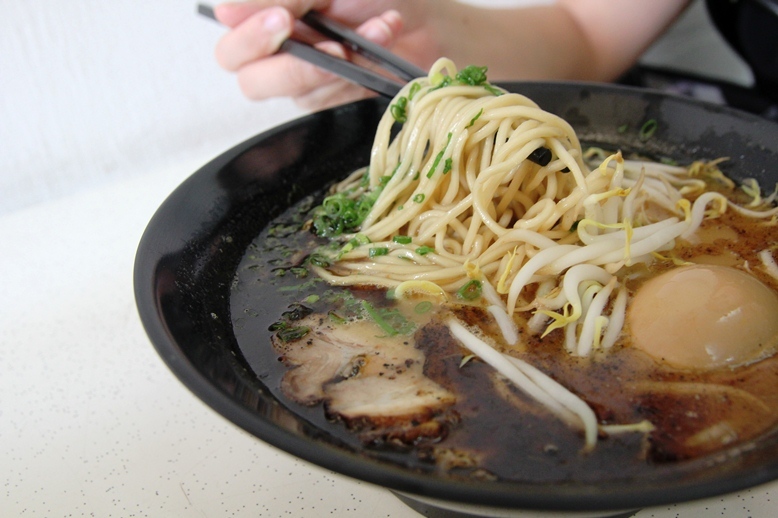 Updated: Homebaked Dough “Brothers Ramen” will leave Tanjong Pagar Plaza’s location. Their last day is 23rd April. The brothers are still looking for a new location. Watch this space! 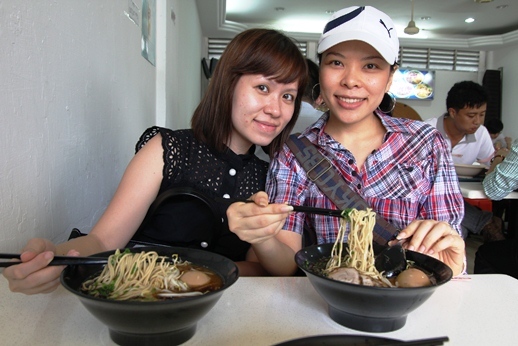 Original entry: This stall at a small corner of Tanjong Pagar Plaza Teck Kee coffeeshop always attract a queue during weekday lunch, with a long line of office ladies fighting sweat and time for a bowl of Japanese ramen. And I found out it was not just the noodles that were delicious. I went for this review with two other girl friends who took time off to ogle at the good-looking and hunky owners. 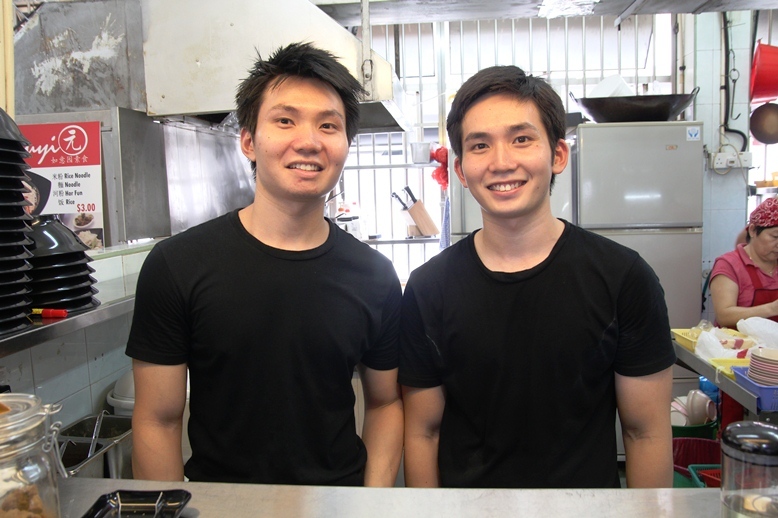 Wearing tight-fitting black tees and short berms, the pair of closely-knitted brothers Weili and Weisheng are indeed eye-candies if you compare them to the average hawker. But the star of the stall is clearly the ramen. The ramen with soup cost a very affordable $5.50 and the minced pork dry version $3 – screaming value-for-money. The Kyushu-styled noodles are thin and chewy, drenched in thick and tasty pork bone stock simmered for hours. This is close to restaurant quality, so much so that the thinly sliced char-siew will simply melt in your mouth.